Win a Pair of Flexon Sunglasses, 21 Winners! 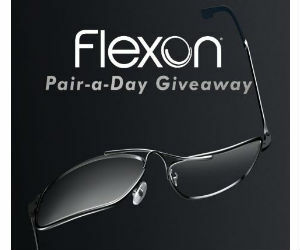 Enter the VSP Vision Care Flexon Pair-a-Day Giveaway for a chance to Win a pair of Flexon sunglasses or a gift card for eyeconic.com. 21 winners!